After obtaining environmental clearances and acquiring over 8,000 acres in Itasca County near Nashwauk, Essar Steel Minnesota broke ground for its $1.1 billion pellet plant in September of 2008. In addition to iron ore mining and production, the proposed project included a 4-million metric ton pellet plant, a direct reduced iron (DRI) unit and steel-making facilities. The second phase added a slab-making plant. 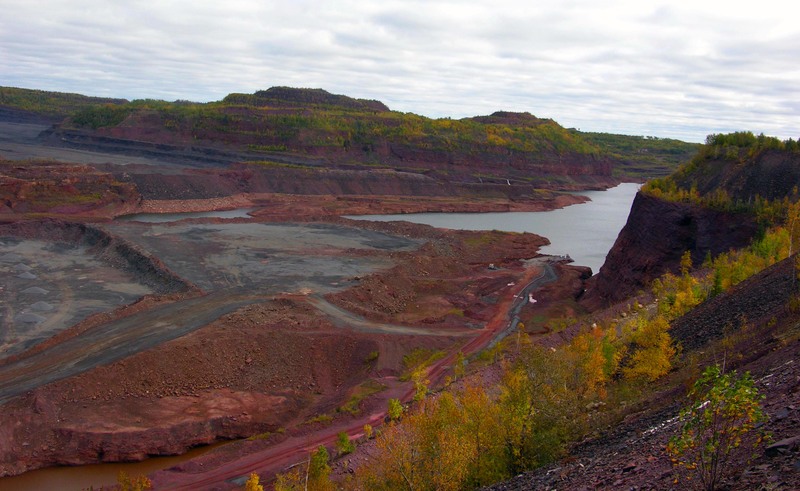 The plant was ready for production in 2011, and was the first facility in North America to include iron ore mining, ore processing, DRI and steel-making on a single site. To help kickstart the project, we quickly mobilized several of our all-terrain drill rigs to perform the geotechnical evaluations necessary for determining the engineering properties of the soils and mine waste rock around the site. The work included soil borings, rock coring, test pits, engineering consulting and extensive report preparation. In addition, we have been providing quality assurance testing since mass grading began in March of 2009.